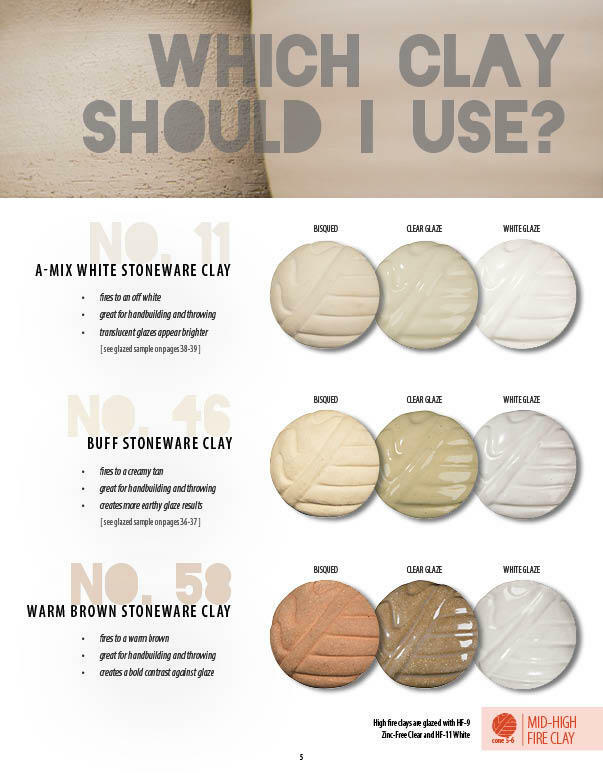 A range of firing clay bodies for low and high temperature firing, and casting slips. All Amaco Clays are formulated for safety and performance. 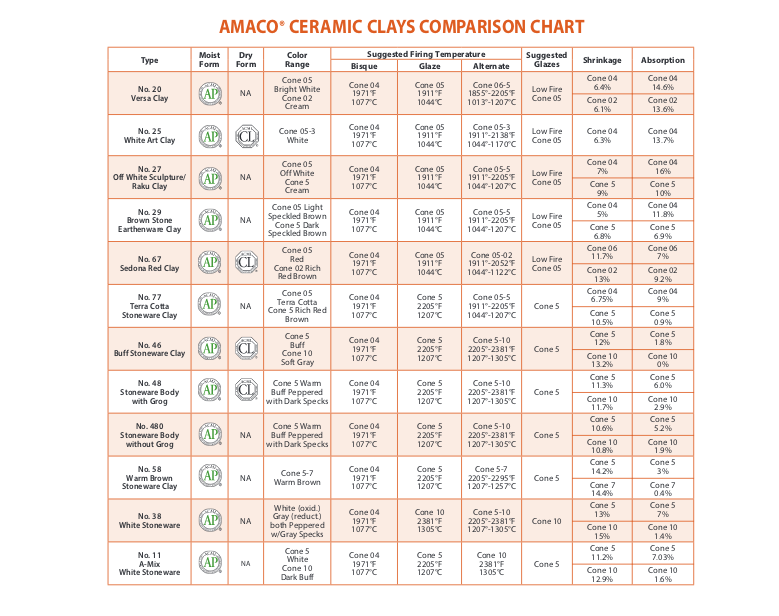 Complete Printable PDF charts comparing AMACO clay bodies to aid your selection process.